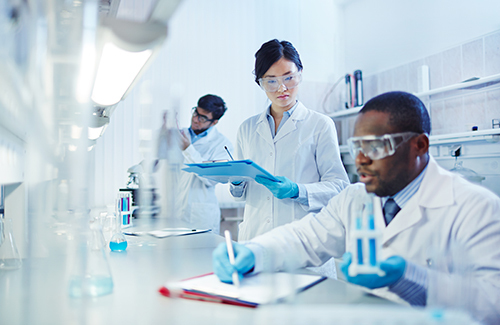 What is a Medical Lab Technologist (MLT)? Need to Print Your Receipt for Income Tax? Through our professional code of conduct, we promote integrity, respect, and safe, ethical practices. We provide responsible leadership through advocacy, continuing education, mentoring and professional practice standards. We are accountable to the public, the membership and other stakeholders to uphold the standards of our profession in an efficient and transparent manner. We work collaboratively with stakeholders to proactively meet needs of our members and the public. We actively promote patient safety by advocating Laboratory quality principles and life-long learning. Licensed Medical Laboratory Professionals, enhancing public safety by working to their full scope of practice.